timothy is using Smore newsletters to spread the word online. people can not live there but we can change that we will install a shield that provide water food oxygen and cool air! 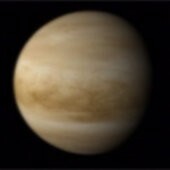 also Venus is a terrestrial planet and is sometimes called Earth's "sister planet" because of their similar size, mass, proximity to the Sun and bulk composition. It is radically different from Earth in other respects. It has the densest atmosphere of the four terrestrial planets, consisting of more than 96% carbon dioxide The atmospheric pressure at the planet's surface is 92 times that of Earth's. With a mean surface temperature of 735 K (462 °C; 863 °F), Venus is by far the hottest planet in the solar system, even though mercury is closer to the Sun. Venus is shrouded by an opaque layer of highly reflective clouds of sulfuric acid , preventing its surface from being seen from space in viable light. It may have had oceans in the past, but these would have vaporized as the temperature rose due to a runaway greenhouse effect . The water has most probably melted, and, because of the lack of a planetary magnetoshere field , the free hydrogen has been swept into interplanetary space by the solar wind. Venus's surface is a dry desertscape interspersed with slab-like rocks and periodically refreshed by volcanism.They would use rover and it is like the rovers on mars speaking of mars you can travel there and there are all kinds of things to do here.